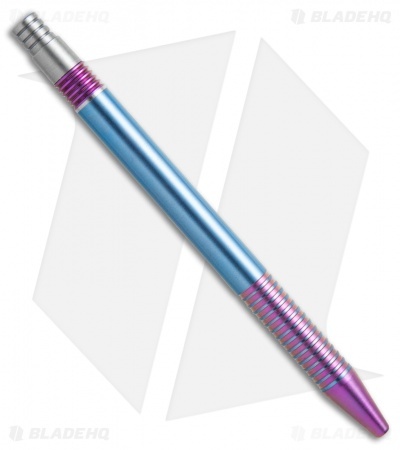 The handcrafted Matthew Martin 375 Series Tactical Click Pen showcases an all titanium body with a titanium clip and tip. This custom model has a unique purple and teal anodized finish. The pen uses a German-made nickel-plated click mechanism. A pure delight to behold and use.